When I started attending the IMS in my mid-20’s I had a full head of thick brown hair. I never felt out of place age wise and remember feeling like the crowd was of similar vintage. Now I have a thinner head of grey (white? silver?) hair and still don’t feel out of place. I’ve encountered several articles recently focusing on the rising average age of motorcyclists in the United States. It seems I’m pretty representative of this trend. I made a conscious effort to step back and take a big mental picture of the crowd. It was predominately grey/white/silver haired old guys much like me. My non-scientific observation appears to support the rising age demographic of the average motorcyclist. This is a disturbing trend since it can’t continue indefinitely. We’ll run out of old guys at some point. What’s the hottest current trend? I’d have to say the rise (resurrection?) of the scrambler. Back in the day there were a lot of “scrambler” models. These were designed to mimic the look of the desert racers of the time, which were stripped down street bikes with knobby tires and high pipes. Most of these were almost identical to the street versions and didn’t have a lot of off road capability. This is also the case with most current scramblers. Triumph introduced a modern version back in 2006. It was mostly a styling exercise with spoked wheels, semi-knobby tires, high pipes and off road type handlebars. They even channeled Steve McQueen’s desert racer by offering a number plate with his racing number 278 as an option. 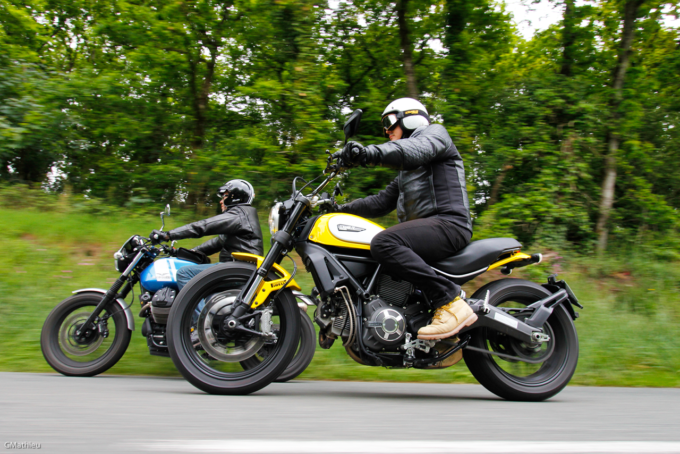 Ducati jumped into the scrambler pool in 2015 with a range of styled bikes. Ducati went all in on their models, treating the complete flock like a separate brand. These are officially “Scrambler Ducati” models, not “Ducati Scramblers”. There’s even a separate website for their array. Most Scrambler Ducatis are also highly street oriented but with scrambler styling cues. 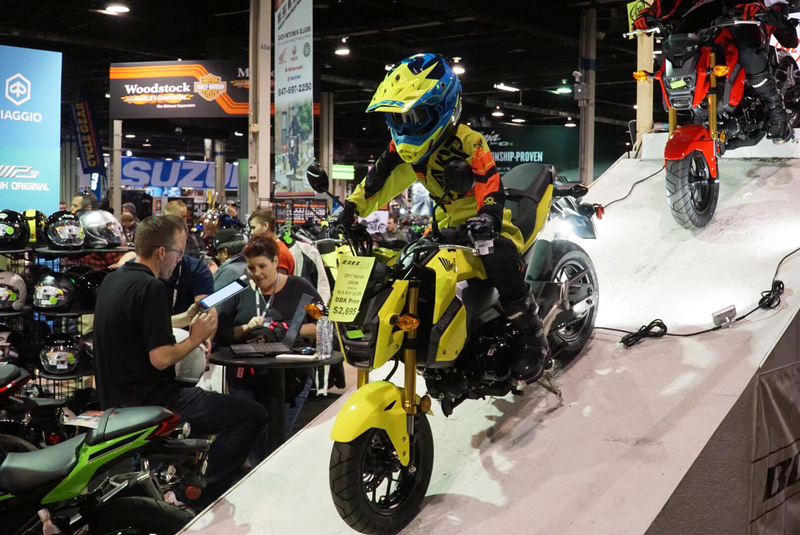 This year, they introduced the Desert Sled model which incorporates real functional design elements like more suspension travel, braced aluminum handlebar, high front fender and dual sport knobbies. 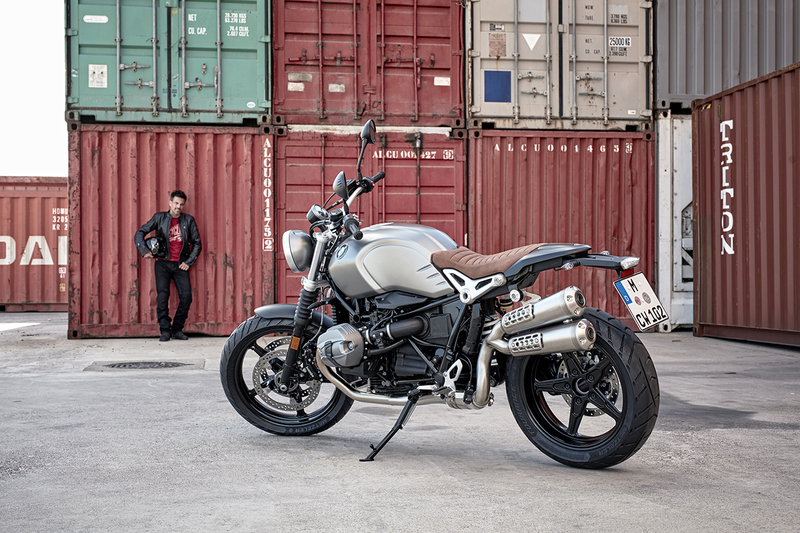 Probably the most talked about Scrambler model is BMW’s R Nine T scrambler. This is again a mostly cosmetic exercise based on the successful R Nine T. It’s interesting to note that BMW chose to downgrade components to keep the price point low. The biggest downgrade is the switch from a male slider fork to a cheaper female slider type. While likely done to keep things affordable, it’s disappointing as a true scrambler comes more from better quality suspension than anything else. I've attended this show since the early 1980's. These are my observations for 2017. Another new Scrambler model is Yamaha’s SCR950, which is basically a styling exercise based on the Bolt cruiser. It adds spoked wheels, dual sport tires, off road handlebar, side number plates and a skid plate but no real functional component changes aimed at off road riding. Moto Guzzi has two scramblers, the V7 II and the limited edition V7 II Stornello. These too are heavily street based motorcycles with scrambler styling cues. Besides scramblers, other “custom” styles are quite popular. Most of these styles have a retro vibe. 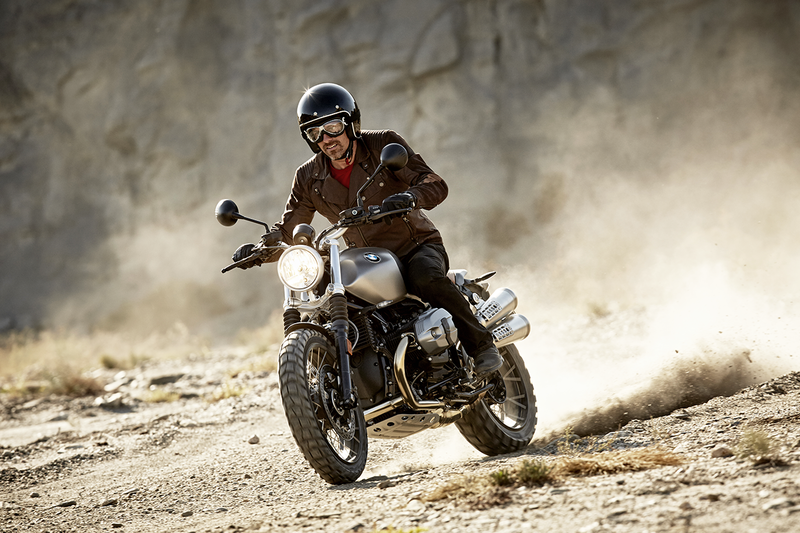 BMW created three other versions of the R Nine T in addition to the scrambler. There’s the Racer which is a cafe racer style, the Pure, a retro standard bike and the Urban G/S that emulates an early G/S model with high front fender, enduro style headlight and a red seat. It’s interesting to note that all of these have downgraded componentry compared to the original. Triumph has focused on retro styled twins reflecting their heritage for years. They have upped the ante into custom styled bikes such as the Bonneville Bobber, Thruxton and Street Cup cafe racers. Scrambler Ducati actually has a model named “Cafe Racer”, which is confusing since cafe racers and scramblers are quite different. Only true enthusiasts will notice the irony. Editor’s Note: This may be in part due to a lack of historic knowledge among newer riders, i.e. rush attempts by a younger generation to pigeon hole their own “eclectic tastes” without first researching an established genre’s background. 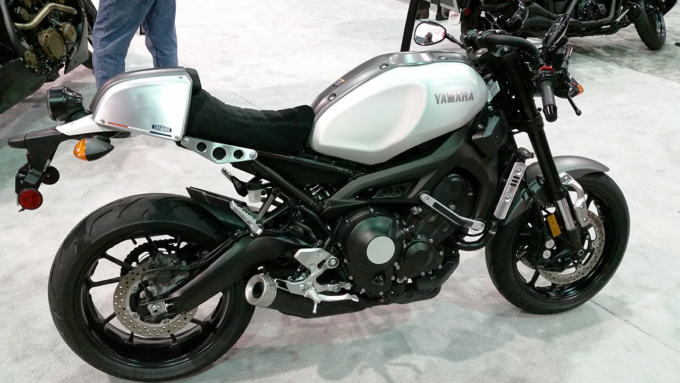 Yamaha has the XSR900 which is a neo-retro styled standard and the SR400 which is a true retro standard. It’s so retro it doesn’t even have electric start. 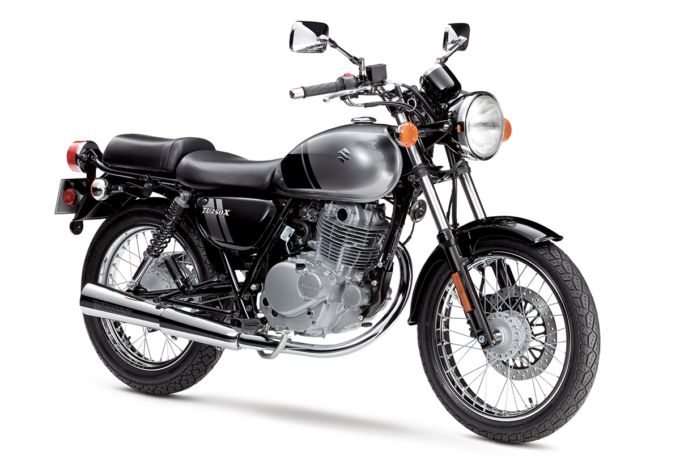 Suzuki offers it’s TU250X which is another true retro standard similar to Yamaha’s SR400 but including electric start. Moto Guzzi is another brand recalling it’s history with the V7 II Racer, another modern cafe racer. It seems the European manufacturers are ahead of the curve or simply willing to take more design chances than the Japanese brands. 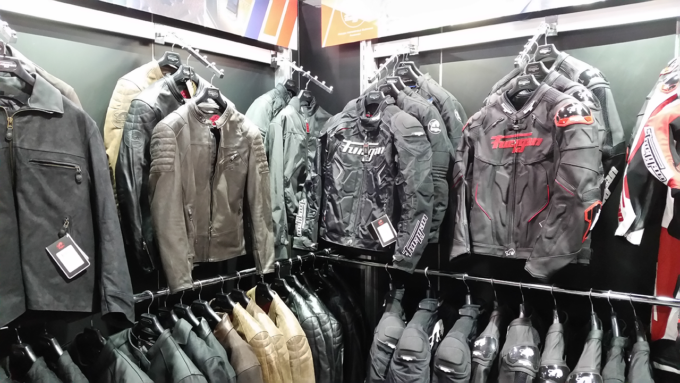 The European manufacturers seem to be capitalizing on the custom movement by offering lots of accessories and upgrades for their motorcycles. BMW and Ducati are leading this charge. I doubt many BMW or Ducati sales leave the showroom floor without some additional dealer profit from upgrades and/or accessories. The Suzuki and Yamaha SR400 are less expensive entry level bikes than modern retro styled offerings. Honda and Kawasaki don’t offer anything in the retro scrambler or cafe racer categories. While not as abundant as I expected, Chinese brands are on the rise in popularity. I saw a few Chinese brands displaying a single bike. The only noticeably sized booth I saw was Lifan, who offered a line of 200cc and under bikes. I have to say their sturdiness is questionable. Their fork tubes are the thinnest I’ve seen on any motorcycle in many years. I sat on one of their bikes and the suspension is definitely not calibrated for the weight of a well-fed adult American male. There was a surprising lack of alternative fuel (read “electric”) motorcycles at the show this year. Zero had a small booth way back in the corner and BMW exhibited a new electric scooter (or Urban Mobility Vehicle, according to BMW), the C Evolution. Manufacturers seem to be tuned into the aging demographic of their buyers and the need to attract new and younger riders. They’re producing quite a few small displacement models geared to entice young buyers into the market. 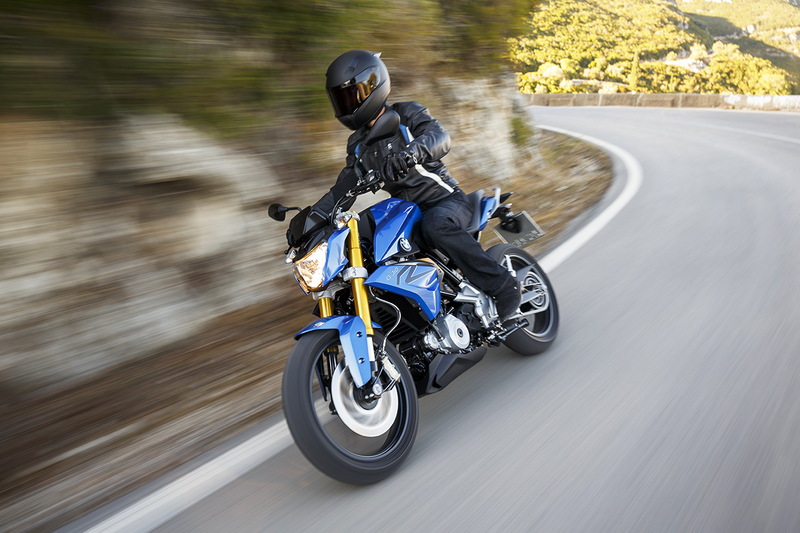 Probably most notable are BMW’s first ever small displacement offerings, the G310R and G310 G/S. 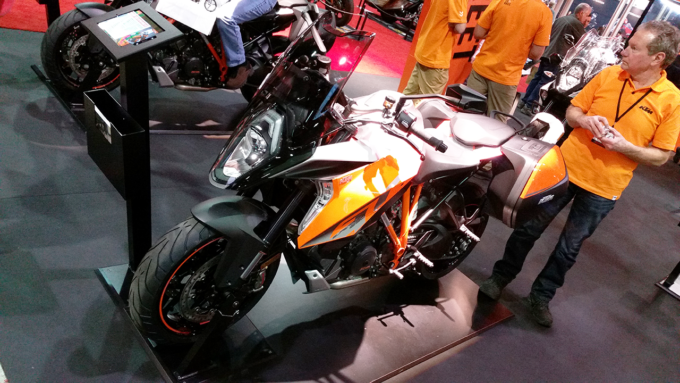 The G310R is a sporty styled single cylinder motorcycle. The G310 G/S is ADV styled. Both bikes use the same drive platform, an unusual “reverse” cylinder design that tilts the cylinder rearwards and has the intake at the front and exhaust at the rear. These models are also significant in that they’re the first BMW models to be produced outside of Germany. Producing these in India (to BMW specs, of course) helps keep the price point down and makes them attractive financial options for younger and less affluent buyers. Besides the TU250X, Suzuki also offers the VanVan 200, a unique small displacement, air cooled fat tire that, according to Suzuki’s website “puts the FUN in FUNKY”. Honda had an instant “little” hit on its hands when it released the Grom a few years back. Kawasaki has joined the parade with their Z125 Pro and Pro KRT models. The Grom and Z125 are user-friendly, inexpensive and super fun. Hopefully the entry-level market will continue to grow and offer more models that will bring younger riders into the sport. 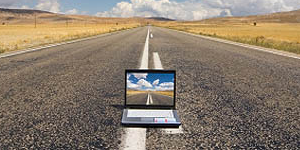 What market segments appear to be stagnant or dying? 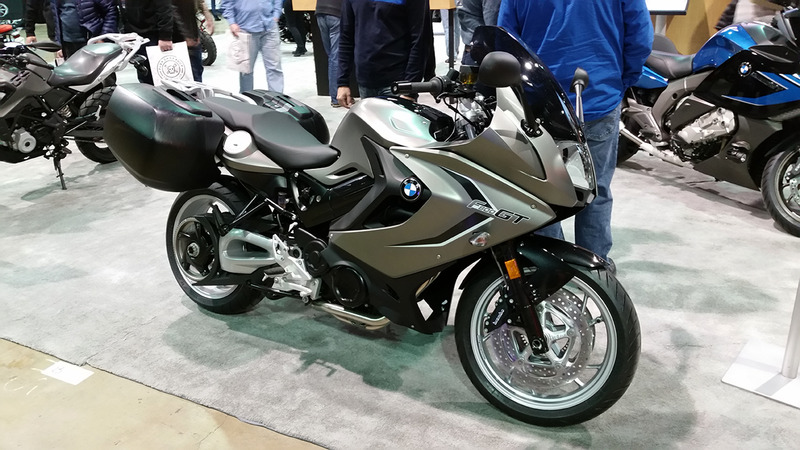 From my observations the traditional sport-touring segment was definitely under represented and doesn’t show a lot of activity as far as new models or significant upgrades. Honda didn’t have an ST1300 in their booth and the only VFR model on display was the 1200X which is the ADV styled version. 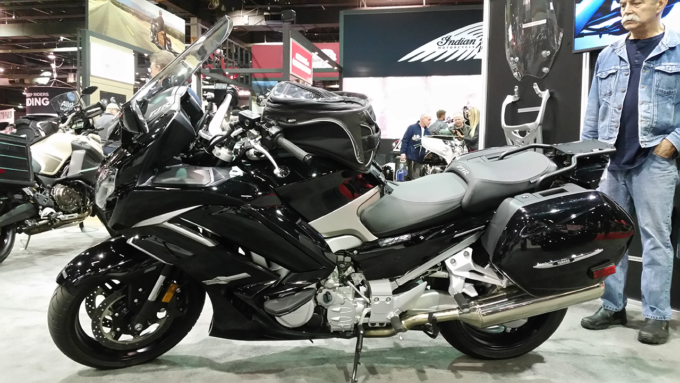 Yamaha had an FJR1300 but that model hasn’t had any significant updates in years. I didn’t see a Concours C14 (I may have missed this) but, like the FJR, the C14 has been stagnant for some years. The muscle bike segment also doesn’t seem to have much traction either. Suzuki’s Hayabusa and Kawasaki’s ZX 14 either weren’t on display or were not placed in high visibility spots. The large displacement ADV segment is alive and well but didn’t seem to have any significant new models or upgrades. I don’t think the ADV segment is going to wither up and die any time soon but perhaps it has reached its peak? The small to middle displacement dual sport category has been stagnant for several years. The main players are the Kawasaki KLR 650, Suzuki DRZ400, DR650 Yamaha WR250R and Honda XL650R and CFR250L. Again, some of these weren’t even on display and none have had any significant changes in recent history. This is a bit of a surprise to me since I’d think the popularity of the large displacement ADV segment would trickle down into the smaller street legal dual sport category. I feel a lot of riders are missing out on a lot of fun by jumping onto larger ADV bikes instead of trying smaller, more dirt-worthy dual sport bikes. Outside of the age demographics and bike segment shifts the biggest change I think I’ve seen over the years is the lifestyle aspect of motorcycling. When I began riding street in the early 1980’s riders didn’t think much of fashion. Helmet laws were less prevalent then and nonexistent in my home state of Illinois. Many riders rode in whatever clothes they would normally wear to school or work. Riding jackets were either denim or leather. Textile gear was just beginning to come into the picture. Riding boots were work boots or combat boots unless you were a racer. Helmets were for protection, open face or full face. Everything was “function over form”, even if the “function” part wasn’t that functional (denim and open face helmets, for example). Strolling around the show this year there was a definite “lifestyle” atmosphere. The main vibe is what I’ll call a “modern retro vintage hipster” vibe. Many of the display booths had backgrounds of weathered wood or industrial looking bricks. 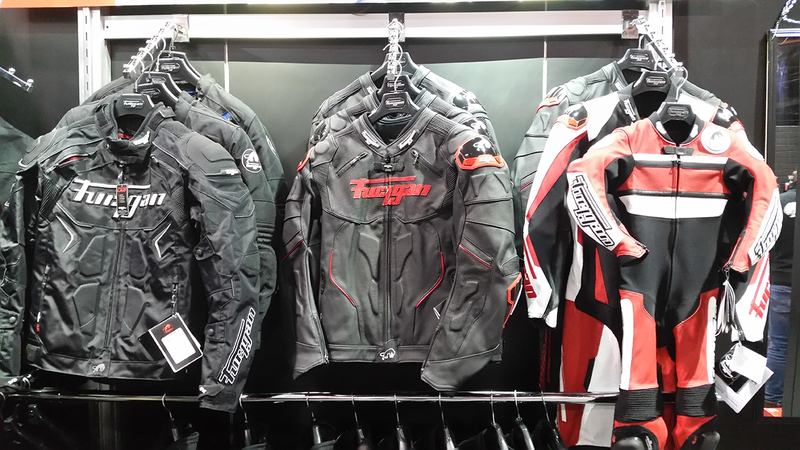 It’s difficult to find riding gear that isn’t pre-distressed. Progressive Insurance, the show’s main sponsor, had an old-fashioned barber shop and cafe. It seems there’s more emphasis on the lifestyle aspect of riding than the riding part of the sport. I guess that’s not a bad thing since the show’s attendees often who embody the “modern retro vintage hipster” vibe were much younger than the average riding old guy like me. Anything that brings more riders into the sport and keeps it new and fresh is okay with me. What’s Your Favorite Motorcycle Show? There are other motorcycle shows out there. Which ones do you prefer? What do you like about them and why? Your input is invited. Post an article!